An evening lecture, Lost British Forts of Long Island by David Griffin, has been set for Thursday, August 23rd at 6:30 pm at the Fraunces Tavern Museum, 54 Pearl Street, New York. When the Revolutionary War broke out and New York City had fallen in 1776, the British forces developed a network of forts along the length of Long Island to defend the New York area and create a front to Patriot forces across the Sound in Connecticut. 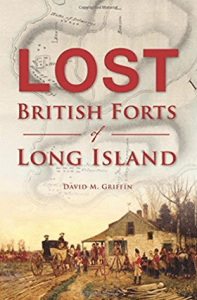 Author David Griffin will discuss the network of fortifications on Long Island covered within his book titled Lost British Forts of Long Island, and describe more details regarding his research on a few of the key posts on the island. Attendees can learn about new and ongoing research within the inner city areas of Brooklyn and Queens. Tickets are $5 for Museum Members, $10 for the public. Includes Museum admission and light refreshments. I saw the News 12 (Long Island) segment concerning Griffin’s book (mentioned here) by Danielle Campbell. It was very impressive and intriguing. Specifically, Griffin searches for an answer to the riddle of Nassau County’s Fort Nonsense…I will be digging into this conundrum sometime next year. The fort was supposedly to be located somewhere near Hempstead Town. But I think David Griffin raises many other essential and significant historical issues about Long Island’s Revolutionary past. Would Fort Nonsense have become a target for Culper spies Colonel Benjamin Tallmadge and Lieutenant Caleb Brewster? I don’t know…but this question and the many others Griffin’s book raises about the British war strategy on LI are certainly worth looking into…This is a text I plan on getting soon. Best to Mr. Griffin and his fans! Hi Michael and thank-you for your interest in the book and its research. Intriguing question regarding Tallmadge and Brewster and the conundrum of Fort Nonsense…. Fort Nonsense is engulfed with mystery. Equally compelling is its mysterious disappearance, and Its connection or disconnection possibly from the local Quaker population. There is also the strong possibility that it was built and commanded by the ruthless Banastre Tarleton. Did someone try to hide it and erase it from the history books?? The great myth about it continues….. I had a question regarding school visits and if you make them. I am looking for your contact (email) information if possible. I do make some school visits. Write me direct at dg@dgid-ny.com. Thank-you Michael for your comment and interest in the book and its research. Intriguing question about Benjamin Tallmadge and Caleb Brewster and the conundrum of Fort Nonsense. Just as intriguing is the apparent disappearance of Fort Nonsense..It is engulfed in mystery. There is also the myth of its connection to the local Quaker population and the strong possibility that it was built and commanded by the ruthless Banastre Tarleton… Did someone try to hide it or erase it from the history books??? The myth continues…..
Tarleton is not one of my favorite people. Your observation here is fascinating. Fort Nonsense may have been the scene gross British crimes…which could have hastened its demise. Also, if the Brits were using it as a bank (to supply their Long Island garrisons with coin)…it would have been a top target for Continental soldiers. Local Quakers (amongst them, Culper Jr.) would also have been quick to act to strip the fort bare, if the fort had anything of value in it. But after seven harsh years of British occupation, Fort Nonsense’s walls could have been “pilfered” from by the locals, simply because the Yankees were in dire need of scarcely available building supplies (at the Revolution’s end). All of this is creative circumspection, but we will be digging into this matter more thoroughly in the future. Great to hear from you Mr. Griffin! 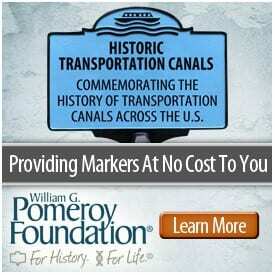 l also thank you for your supplying vital historical research, which is essential to understanding my own. You have provided at least two valuable threads to follow in resolving Fort Nonsense’s enigma. I wish you all the best in all your future work and endeavors. Perhaps if we reach out to British historians, we may find the answers we are looking for here. But in any event, I am honored by your response. “…of gross British crimes…” I meant to say. If you have not already seen my other piece on the Journal of the American Revolution(below link) please read as it tells more of the story. I do think there was stockpile of either supplies and/or money that was flowing into Jericho and that it was also somewhat safe from the coastal towns amongst the religious inhabitants. I have also heard that Tarleton spent his winter seasons gambling, which could also explain the need for his fierce forage for money endeavors. This conversation is getting better and better! I will eventually write a piece about Tarleton…but not for quite awhile. I will gladly read your article. And I appreciate your info. I did research another text about Quaker families of Nassau County…The Townsend family name was mentioned in connection to Fort Nonsense…I wonder if this is Culper Jr.’s family…As yet, I can’t be sure. I’m going to have to get my hands on your book. I look forward to reading it. Your explanation of the fort’s location and of that wacko Tarleton’s greedy and sleazy living are convincing ones. Best to you and your research. I did read your excellent article in the Journal of the American. Rev. It was factually accurate and very compelling. It is well-written. I do think Fort Nonsense was certainly real and it was not a fabricated product of the colonial imagination. I think it’s existence lasted for at least three years. It may have been scaled back during the War, but it’s inland location would be very advantageous to the redcoats. It would have been a great deal harder for the Continentals to attack by being positioned in center-Island. This was enemy territory, with no easy access for the bluecoats…hence Ft. Nonsense was not an easy target for Americans. Your research is vitally important to my own. Keep up your superb work and good luck to you in the New Year. “its,” I meant to say in two places. Apologies. Thanks for the great comments and support. Just to add to your enthusiasm, the house and property in Jericho, which I have been researching, was owned by Robert Townsend’s uncle. He was the brother of Samuel Townsend of Oyster Bay. You were wondering about that connection…. No problem. Your work speaks for itself. Just keep those great articles of yours flowing! 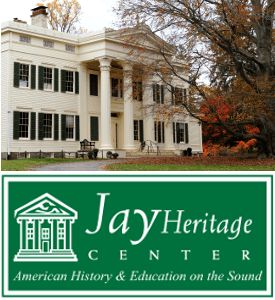 Historians need much more information about Long Island, as I existed during the American Revolution…there is a big gap of knowledge in the historical record here. You have done a super job in filling up this vacant space, by providing your readers with vital data and conclusions. I will investigate Ft. Nonsense some time next year. I value your feedback. “as it existed,” I meant to say. The news you bring me about the Townsend’s is very significant. I did note it in your article. I don’t have enough documentary evidence to connect all the dots, historically, with all this, but I should in the future. Also up for grabs is the mystery of Coram’s supply depot. What was its exact design and layout. How was it manned by the British? Also was there another as yet undiscovered British fort in Farmingville, at Bald Hill? Or on top of the hill of SCCC’s Red Square? Two of the highest points in Brookhaven Town they are both, and one of the very few places on the Island where the LI Sound and the Great South Bay are both similtaneously visible from land…and hence they would be very strategic locations for the Brits to have occupied during the Revolution. You may want to look into this, if you haven’t already.